There was no immediate claim of responsibility, but the attack bears the hallmark of Boko Haram, which typically attacks public places. Kano: A suicide bomber has killed at least 50 people at a mosque in the north-eastern Nigerian town of Mubi, police say. The teenage bomber detonated his explosives early on Tuesday in Adamawa state as people were arriving for morning prayers. Police spokesman Othman Abubakar said that the young man was mingling among the worshippers. 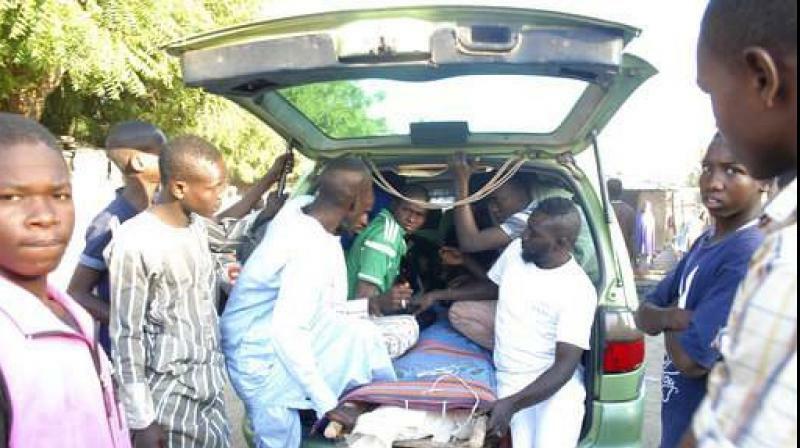 Ahmed Musa, chairman of Mubi council, said dozens of people had been injured. Police were "still trying to ascertain the number of injured because they are in various hospitals", Mr Abubakar said. There was no immediate claim of responsibility, but the attack bears the hallmark of Boko Haram, which typically mounts suicide attacks in crowded public places, such as mosques and markets. Tuesday's attack is the highest loss of life since 18 people were killed in neighbouring Borno state in September. Boko Haram has waged an insurgency in north-east Nigeria since 2009 in its attempt to create an Islamic state in the region, killing more than 20,000 and forcing about 2 million people to flee their homes. Most attacks by the group focus on Borno state, the birthplace of the insurgency.